Discussion in 'Lets Talk about gambling and more...' started by Marina, Feb 18, 2015. Casinos and the gambling industry, in general, have mysterious qualities about them. They can produce wonder and a sense of nostalgia, all in one package. From the history of slots to high-rollers and Robin Hoods of the gambling industry, here are five obscure facts you probably didn’t know about the industry. easy for owners to fiddle with. The drums inside could be altered or a few key cards could be removed to make it more difficult for players to win. Legend has it that Bavarian-born Charles Fey created the Card Bell, later adapted to Liberty Bell, to keep his customers occupied while they waited for their repairs to be completed in his San Francisco shop. page, which includes a video of his philanthropic efforts to feed the needy. However, back in 2010, he helped the family of a young girl who had a brain tumor which left the family buried in medical debts. and does not reveal his true identity. His Twitter feed suggests he has been silent recently because he was “locked up by the Sherriff of Nottingham,” but it also promises that 2015 will be a big year for him. first seen on slot machines designed by The Mills Novelty Company. They were also the first company to provide a jackpot feature on slots. have to enter into a written contract with a casino in order to get them. They can’t just show up at a casino with millions of dollars, drop it on the table, and have casino staff swoop in to pamper them. generally occurred. It isn’t that the star did something wrong, per say. 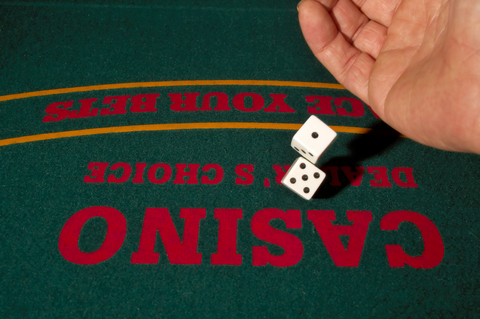 It’s simply that the casino doesn’t want to risk losing millions of dollars in one shot. Interesting facts! Never knew this about the High Rollers but understandable. Very cool facts I didn't know about. I enjoyed the read.